Would you ever have to pay someone to take your “What Should Your Celebrity Name Be?” quiz? The answer: Never! People will answer your quiz for free and as fast as swallowing chocolate after a year of a “no sweets” diet! The beauty of quiz results is that your website visitors don’t feel like they are filling out a survey when they are giving information. Surveys are boring and clunky. 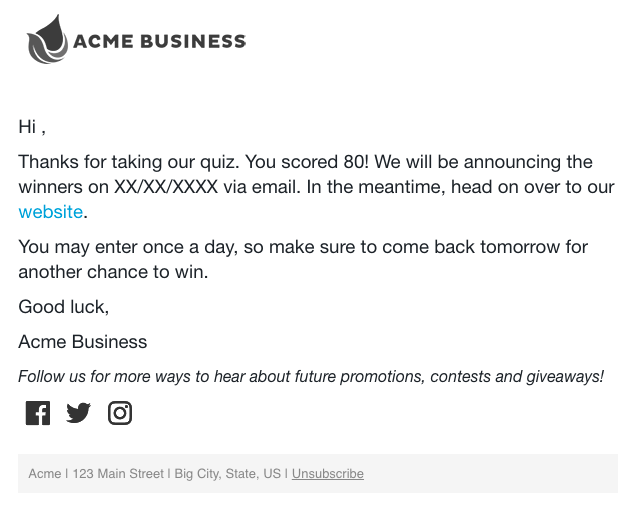 Your business might even have to reward respondents with cash to take your survey, but a quiz is fun and interactive! and according to AdWeek quizzes are the most viral shared content you can use to grow your audience. Those quizzes, in turn, can be a true game-changer – engaging your audience to an extent you never thought possible. From “revealing” quizzes your friends may pass around on Facebook. Or the addictive pop culture quizzes from sites like BuzzFeed. In both cases, quizzes act as a kind of “digital glue” – making people stick to websites. After all, who doesn’t want to know “Are you a true Game of Thrones expert?” or “How well you know body language?”. These are among life’s most important questions. Rivaled only by other equally pressing ones like “Find out if you have a “millionaire” mindset?” quiz. A well design quiz have the benefit of going viral. 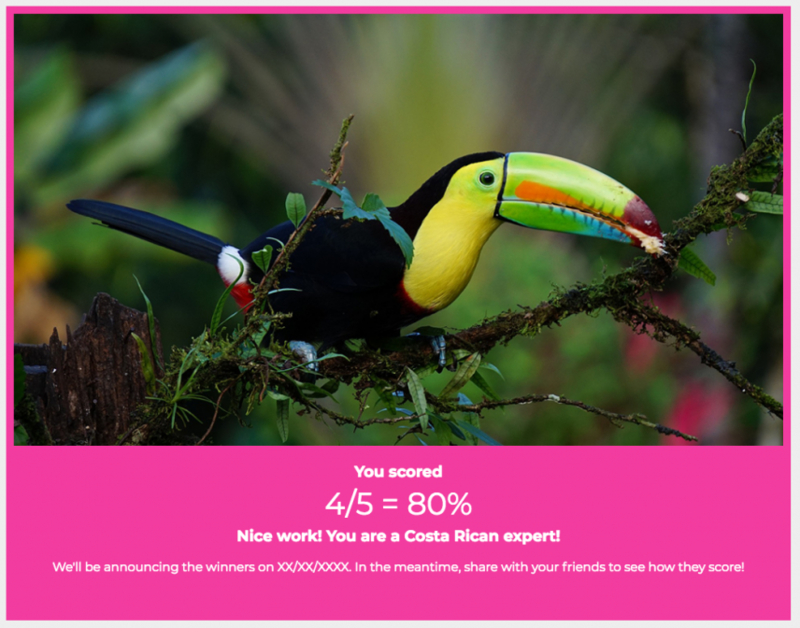 If it goes viral, your quiz will spread like wildfire among your online audience. People who visit your site and take the quiz will then pass it to their friends. Who will pass the quiz to their friends. And so on. All the while, promoting your site, where the quiz originated. It’ll be an explosion. Like one of those Minesweeper mines going off. Only this time you win the game. In a big, big way. A quiz engages your audience by asking them a series of questions, at the end of which they are given a result based on their individual responses. For instance, a business that develops accounting-related products could create quizzes questioning its audience regarding their business size and aim to place them in a certain tax bracket. Quizzes can ask for information that would just be weird to ask for elsewhere. For instance, you could ask people which kind of music they prefer in a personality quiz, and no one would think twice about it, imagine asking for that information in an email conversation or poll, it just doesn’t quite make sense. 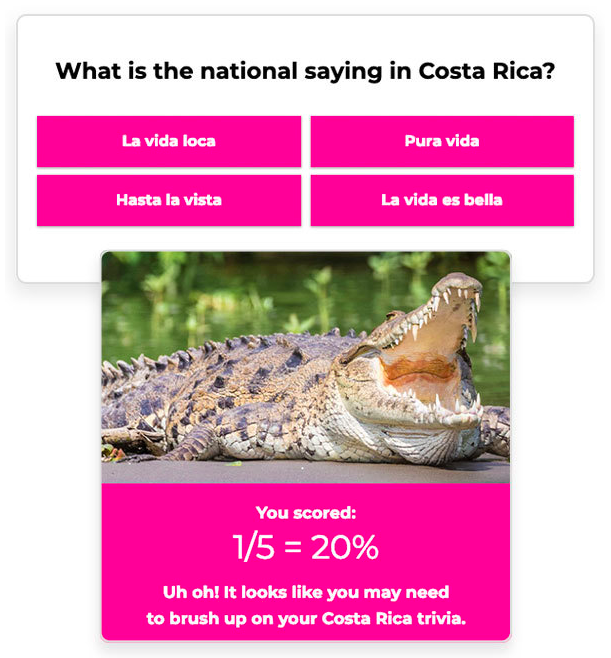 Quizzes are the perfect medium for learning about your visitors, and that information can aid your content strategy and produce content pieces much more tailored to the audience that’s already interested in your products and services you offer. Once a quiz gives you insights about your visitors, then you want to figure out how you can use that information to improve your website or your digital marketing strategy. 1. Content tailored to a specific age group: One of the easiest things to ask for in a quiz is the age of someone. 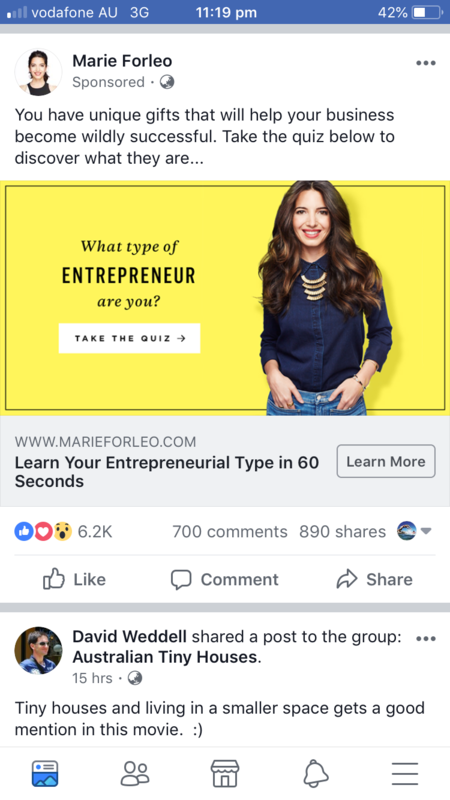 I am sure you have seen many personality quizzes asking: “How Old Are You?” Each generation has their own lingo, and way of communicating, so make your website content and digital marketing messages reflect what your audience is used to. 2. Messages that target specific interests: Quiz questions can unearth interests, for example, “Pick a sports team” might lead you to find out that 70% of your readers are “Real Madrid” fans. You can use that information in future posts. If you need to bring in an example, make it from the “Real Madrid”, if you need a celebrity to use, talk about Cristiano Ronaldo. 3. Share interesting Stats as part of your digital marketing. Sharing numbers and stats can creates instant trust and makes us accept it as facts. Statistics has long been promoted as one of the best ways of how to make anyone believe anything. Promoting a fact such as “Most teens prefer Snapchat over Instagram” and then backing it up with an image of your quiz result showing this to be the truth is much more powerful than the fact by itself. Most quiz maker software tools today overlook the respondent’s experience, which is why some quizzes might produce low response rates. Choose a survey maker that creates modern-looking surveys that engage respondents, are easy to answer, and use cutting-edge mobile features. And you get greater response rates and better feedback. Interact is a great option for this. Interact helps you build a database of potential customers fast by creating and publishing interesting quizzes your potential customers would love to respond and see its results. Interact can be integrated with most email marketing platforms such as Mailchimp and others via Zapier. Most of our clients want to embed their quizzes onto their websites. You can start for free with no email collection or other nice features to try it on and the net plan is only $17/month. 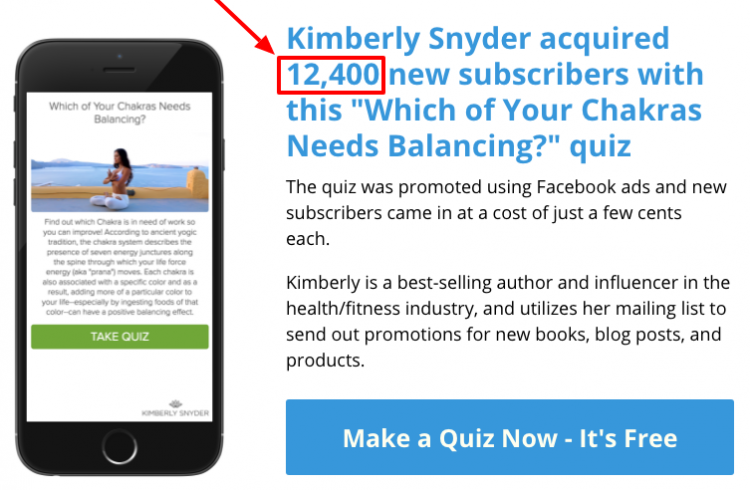 Live quiz examples and templates to get thousands of new subscribers fast and easy! Your One Click Quiz Maker quiz won’t just incorporate your logo, colours and other brand elements. With a few clicks, you can add images, video, animations. Because fun and engaging gets you better results! An easy builder walks you through each phase of creating your survey or quiz. The quiz or survey you just created is chameleon-like: it adapts to every device and environment you put it in. iOS or Android, phone or tablet. Embed in your native app, on a tab on your Facebook page, in your web app. This quiz maker tool makes it easy to collect and analyse relevant quiz data. With instant respondent uploads you can keep to yourself or share with a wider audience. Graphically or via text, by question or by respondent. Filterable, downloadable…ah, data! Easy sharing and embedding. It only takes a moment to share your quiz, survey or poll. Generate leads. Create a unique relationship with your fans and customers. Engage them with your interactive content and use this opportunity to gain leads. Opinion Stage is an interactive content (e.g. polls, quizzes, lists) creation service for publishers & brands. Easily create beautiful interactive content – polls, quizzes, lists & more – to drive viral reach and engagement. If you’re looking at this WordPress Quiz plugin, you want results. More user engagement, more social shares. More email options. Install QuizCat and you can create quizzes for your website. How you ask is everything. That’s Typeform promise. One of the most engaging quiz builder tool you can find. Typeform is a versatile data collection tool for professional marketers. Typeform makes asking easy & answering refreshing. Integrates with Unsplash to get free images and also you can upload gifs to your quizzes. Get more leads – include a lead generation form, and then qualify each sign up based on their quiz answers. Automatically send personalised follow up messages – based on their results. Direct integrate with your AWeber and MailChimp, ConstantContact, Marketo, SalesForce or any other platform via their webhook or Zapier options. Create quizzes, customise how they look with ease and embed them on your website in no time. uQuiz makes it quick and easy to create interactive quiz content that your visitors will love. With uQuiz you can make quizzes that engage your customers and generate leads. 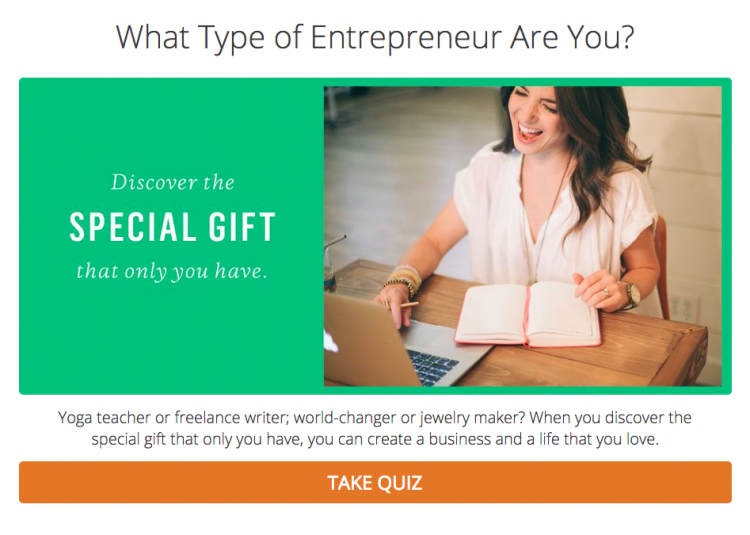 Effortlessly create quizzes that allow potential customers to engage with your brand. Present offers and generate leads with an advertisement at the end of your quizzes. View their answers and see their result – this is a fantastic starting point for a conversation! You can specify a custom tweet for each quiz or personality type, including your brand’s URLs and hashtags. Displays dynamic outcomes based on entrants’ scores. Users are encouraged to share their results with friends, which promotes friendly competition among friends and generates more leads for you. With SnowQuiz you can create quizzes, assessments and personality tests. 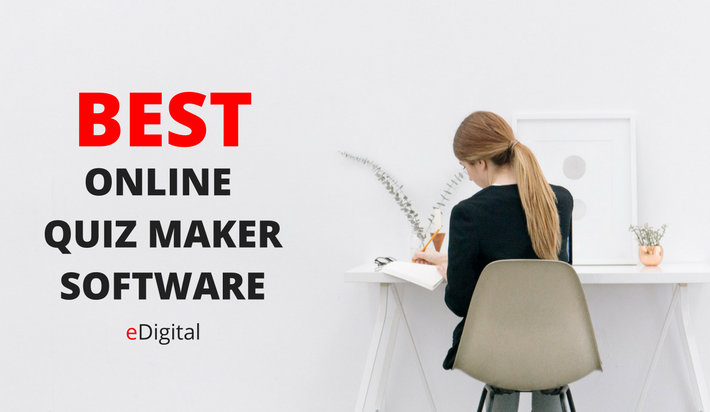 The best quiz maker and test builder. Make beautiful and viral quizzes, entertain your audience, and capture leads. When users interact with your content, you demand their attention and thus engage them on a deeper level than with passive content which doesn’t require user interaction. Research confirms the benefits of adding interactive elements into a content marketing strategy. Marketers reported that interactive content produced almost 2x the conversions than did passive content (Kapost). In a similar fashion, marketers assessed the effectiveness of interactive content at 93% and passive content at 70% (Inc). If you haven’t yet started incorporating responsive content into your marketing strategy, it’s a must!. As long as you recognise its value, you’re in the right place. Polls: polls ask users to respond to a single question. A great way to engage your audience and reveal your audience’s general opinion on a subject, their overall values, or some of their character traits. For instance, if you create a poll asking how users would proceed with a risky business strategy, the answers will help you evaluate whether your audience is generally open to taking chances or whether they prefer to play it safe. Surveys: Surveys are longer, more in-depth polls with multiple questions and sometimes non-multiple choice answers. Surveys can reveal even more about your audience’s demographics and psychographics giving you invaluable information to develop a strategy around. Web tools: requires significantly more investment, it can be well worth the cost. A web tool will need to be developed and coded, but if it fulfills an essential function well, then your audience is bound to be highly attracted to it. A great example is Neil Patel’s QuickSprout, which analyses users’ websites for improvement potential. QuickSprout has been cited and endorsed in numerous industry-leading publications, driving significant traffic to the website since its inception and earning Patel recognition as a Top 100 Technorati Blogger. We know that interactive content produces a more engaged audience. Of course, that is only true if the website visitor chooses to take action. To effectively capitalise on the added engagement interactive content brings, you’ll need to be able to identify the engaged prospects and send them through a sales funnel accordingly. The best way to do this is lead scoring, wherein a marketing automation tool assigns scores to each visitor and increases the score every time the visitor interacts with the content. The highest scoring visitors are thus your most engaged and warmest leads. Make sure your interactive content can reveal invaluable information about your leads that will enable your brand to better appeal to potential customers. Let’s say you publish a survey that asks users what their most significant pain point is within a specific part of their business operation. If your product or service corresponds to that pain point, you now know how to tailor your marketing strategy to highlight that your product or service provides a solution to your audience’s problem. With interactive content, it’s crucial that you’re doing all you can to keep your users as engaged as possible every step of the way. Unlike passive content, because interactive content requires users to invest time in specific actions in order to continue consuming content, users are likely to hesitate before beginning to interact with content unless it catches their eye. The best way to captivate and keep users’ attention? Visuals. The nature of visual content means that users find it more appealing, more memorable, and most importantly, more engaging. Keep the ultimate goal in mind—the conversion. Improved analytics like higher engagement numbers and warmer, better-scoring leads are great, but if they aren’t converting into customers, they aren’t bringing your business revenue. Interactive content becomes a futile exercise. That’s why it is vital to the effectiveness of your interactive content strategy that you create each piece of content with the end goal of a conversion in mind. Never let a user get away from an interaction without being prompted to complete a meaningful action that brings them closer to the conversion from visitor to customer. Use newsletter subscriptions, product demo sign-ups, call-back requests, or any other call to action to ensure that the website browser is entered into your sales system and brought nearer to conversion. The web is increasingly comprised of distracting material. Moreover, as modern technology continues to reduce the human attention span to one that is shorter than a goldfish’s, one thing is becoming increasingly clear: to succeed online, your brand must be engaging. By incorporating quizzes or other interactive elements into your content marketing strategy, you’ll be well on the way to achieving your goal of more captivating content.